Multi-Functional: Simple, yet dependable design makes the Advanced Classroom Training Tables perfect for a variety of environments such as; schools, libraries, community centers, hotels, convention centers and business facilities. Quality Construction: Uncompromising leg construction and robust table tops offer a solid, durable solution that can withstand years of use and multiple relocations. Stunning Finishes: Work surface and included modesty panel are available in your choice of three finishes (Folkstone, Hard Rock Maple, and African Mahogany) to enhance or compliment your training rooms decor. 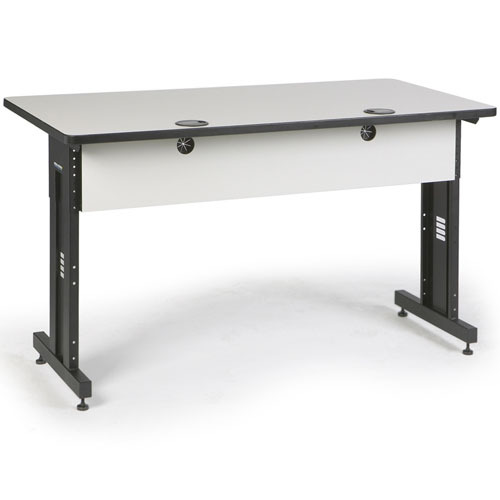 Adjustable Leg Kit: Standard leg kit allows you to adjust the height of the work surface from 27.90" to 34.90" (with caster kit), perfect for grade schools and public service centers, which cater to various age groups. Easy to Assemble: Whether assembling a single table or a whole classroom, installation is quick and easy with the use of standard hardware and tools. Durable surface features pre-drilled holes for the base and all accessories; only requiring a Phillips head screwdriver to complete the job. 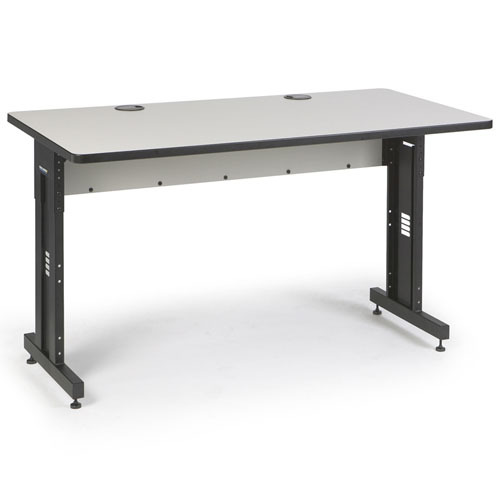 Highly Mobile: The locking caster kit allows training tables to be moved around by a single person, especially helpful to instructors who have to change their classroom layout on a frequent basis.